Learn how to make a smoothie bowl with this delicious, antioxidant-packed recipe! 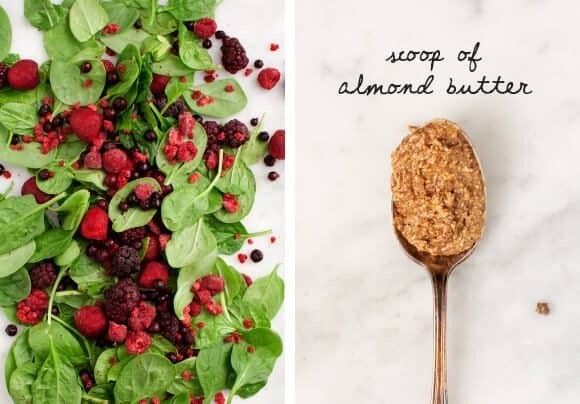 Almond butter gives it protein and amazing PB & J flavor. This scenario happens often: I get on a smoothie kick, and I make the same one again and again and again. Same time, same place, same smoothie. Tell me that this happens to you too? 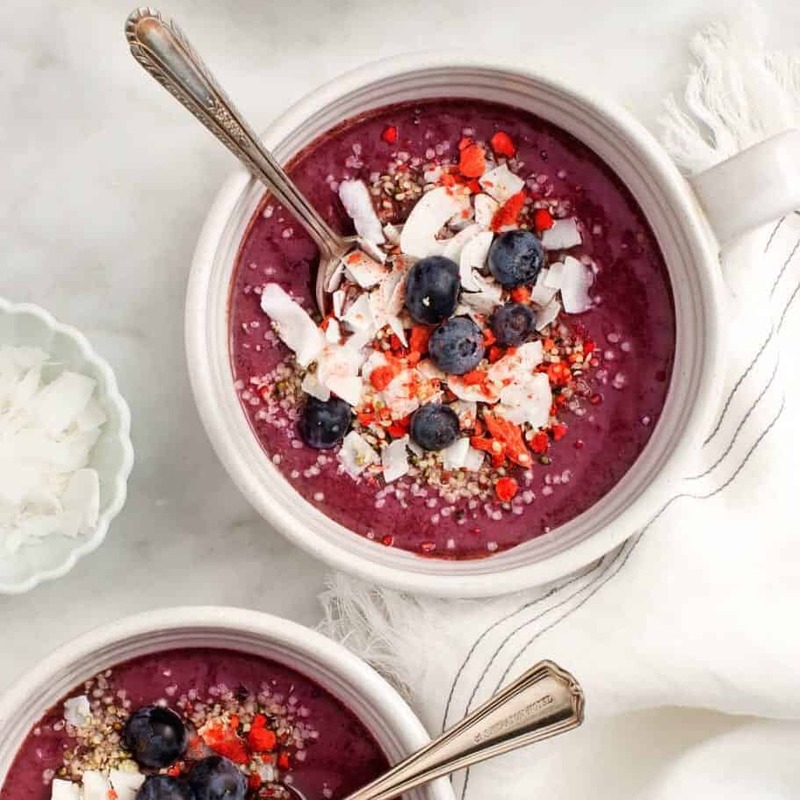 This berry-spinach smoothie bowl recipe is my new latest obsession. It tastes amazing. Instead of banana, I add a scoop of almond butter for creaminess (and a little protein). As a result, it has a hint of PB&J flavor – it’s SO delicious and also husband-approved. Which means that I’m pretty sure it would be kid-approved too. It’s easy to keep the ingredients on hand. Because frozen berries and almond butter make the creamy, cold base of this bowl, you can easily keep the ingredients on hand without them spoiling. It’s packed with antioxidants and other nutrients! 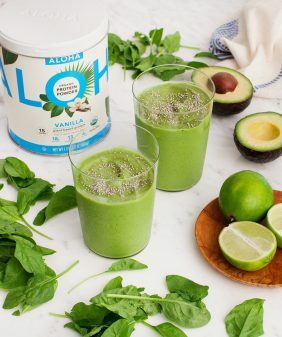 Its flavor is hidden, but spinach adds extra vitamins to this already antioxidant-rich breakfast. If you top it with hemp seeds or walnuts, it will also give you a good dose of omega-3s. You could eat this as a healthy breakfast, but we also love it for dessert. For my superfood smoothie bowl toppings, I use coconut flakes, hemp seeds, whole blueberries, and crushed freeze dried strawberries. Freeze dried strawberries are a new-to-me ingredient, but – um, wow – I’m hooked on them. They have such an amazing concentrated strawberry flavor. If you can’t find them, skip ’em, but they’re definitely a fun ingredient to seek out. 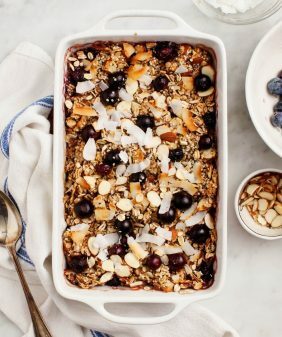 Other good topping options would be almonds, walnuts, chia seeds, or your favorite granola. 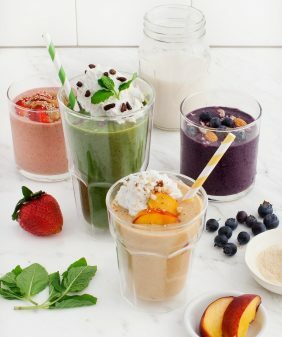 For more healthy smoothie recipes, check out this fancy layered one, this one for a coffee kick, or these for more fun fruity ideas! 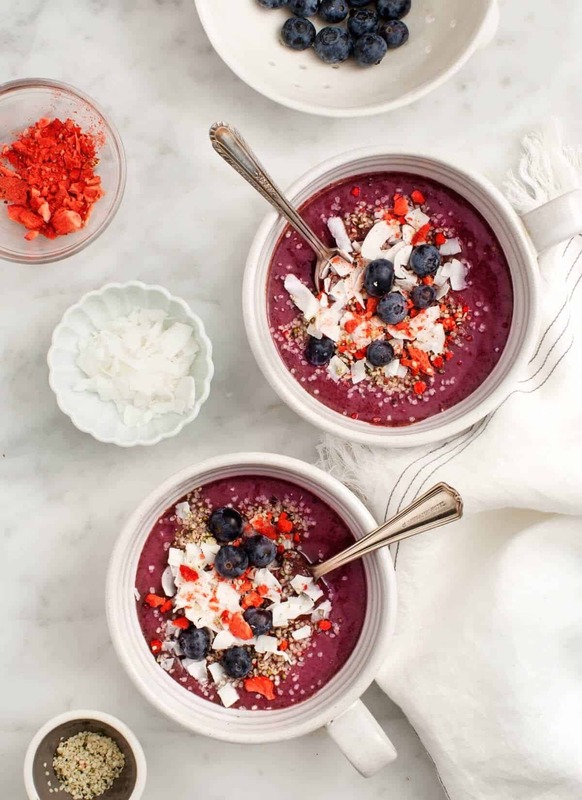 This easy smoothie bowl recipe makes a beautiful and delicious antioxidant-packed breakfast! It's healthy, vegan, and gluten-free: the perfect way to start your day. Place the frozen berries, ice cubes, coconut milk, almond butter and spinach in a blender. Add acai powder, if using. Blend until smooth, adding additional coconut milk as needed. (As little as necessary so your smoothie will be thick). Taste and add maple syrup or sweetener of choice, if desired. Blend again. Pour into two bowls and top with hemp seeds, coconut flakes, blueberries, and dried strawberries. I get the "Organic Berry Blend" from Whole Foods. Now here’s a smoothie I could go for. I have an absolute revulsion to bananas (childhood trauma) and cannot bear the smell or taste of them. Smoothies always seem to rely on them for thickening. I’ll definitely give this a try. Whats is your blender ? Does it work with frozen bananas ? Dried strawberries are the best! So tart and yummy. I’ll have to check out that acai powder. 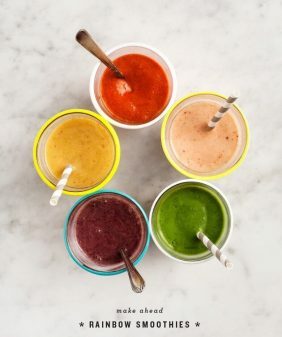 It looks like just the thing to keep on hand for smoothies! I’ve been running into so many beautiful smoothie bowls that I’m totally inspired to make my own. I love how vibrant the colors are in yours and the fact that it’s got a spoonful of almond butter. Delish! I adore the tartness of freeze-dried strawberries. But I haven’t added them to a smoothie yet. 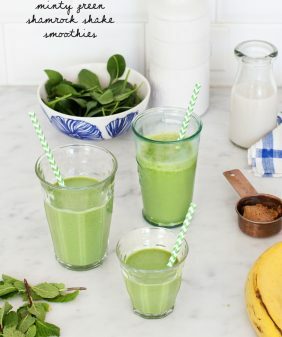 With the weather warming up here (on good days, anyways) I’ve been making spinach and berry smoothies too, so I’ll have to try this addition. And yes this combo is an addictively-easy repeatable formula for me too. Beautiful! I’ll have to look for some freeze-dried strawberries–such a good idea! I think the last time I had them was in a cereal I used to love…never thought to just buy them on their own! Berries and spinach are a delightfully delicious combination in a smoothie and somehow you feel healthier after having it. Beautiful! I have a version of this every morning and it gives me energy all day! Hi have just made this – its delicious, and am hoping my kids will love it too! 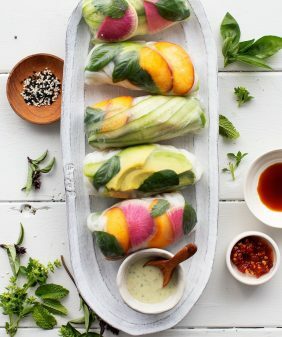 Brilliant idea to add spinach. Love, love, LOVE all your photos! I’m going on a trip this summer, and want to capture the best moments – what camera do you use / recommend ? thanks! Great recipe. Just pinned it.